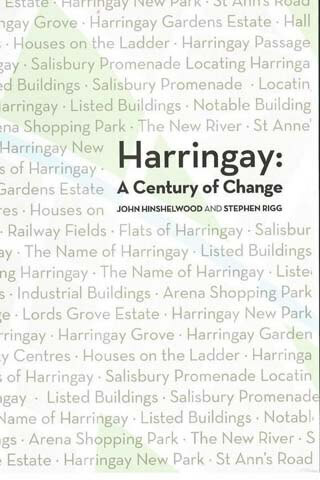 Published as a supplement to How Harringay Happened (2012) this small book is a treasure trove of information, history and anecdote about the area which is affectionately known as ‘The Ladder’. The authors describe the late Victorian development of this area which lies between Tottenham and Hornsey and bring a sense of place, context and continuity to a continually evolving part of Haringey. John Hinshelwood lives in Harringay and was HHS Curator & Archivist, 1998-2005. John is a frequent contributor to the HHS Bulletin and spends his time researching and writing on aspects of local history. He is the author of several books. For a number of years he was Secretary of the London & Middlesex Archaeological Society (LAMAS) local history committee. Stephen Rigg is enthusiastically involved in a number of local organisations, including Hornsey Historical Society, where he met John Hinshelwood. The result of their collaboration on this booklet has been well received in Harringay.